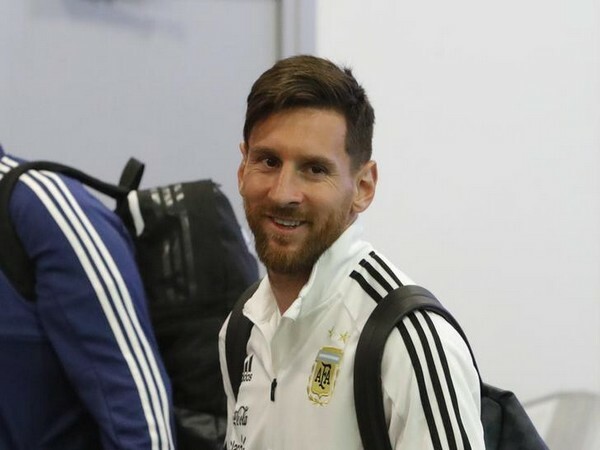 Leeds [UK], Apr 18 (ANI): Liverpool manager Jurgen Klopp has stated that he is not yet thinking about how to deal with the Argentina superstar, Lionel Messi, as they prepare to compete with Barcelona in the semi-finals of Champions League. Colombo [Sri Lanka], Apr 18 (ANI): Milinda Siriwardana, Jeffrey Vandersay and Jeevan Mendis made a comeback to the Sri Lanka team while it decided to go without Dinesh Chandimal in the ICC Men's Cricket World Cup 2019. Lahore [Pakistan], Apr 18 (ANI): Ehsan Mani, the Pakistan Cricket Board (PCB) chairman on Wednesday received a complaint from members of its Board of Governors (BoG) against the fellow member Numan Bhatt for misconduct. New Delhi [India], Apr 18 (ANI): Sunrisers Hyderabad (SRH) skipper Kane Williamson's woes in the ongoing 12th edition of the Indian Premier League (IPL) seem never-ending. London [UK], Apr 18 (ANI): Barbados-born uncapped Jofra Archer is "not going to get upset" for missing out from England's preliminary 15-man World Cup squad. Rather, the all-rounder is "excited to play against Pakistan" as he is in contention to make his ODI debut ahead of the marquee event. Dubai [UAE], Apr 18 (ANI): Former Australia captain Ricky Ponting is surprised that Rishabh Pant was not included in India's 15-member squad for the forthcoming International Cricket Council (ICC) Men's Cricket World Cup. New Delhi [India], Apr 18 (ANI): England and Wales Cricket Board (ECB) announced its national preliminary squad for the ICC Men's World Cup. However, the exclusion of some players by the host nation England turned out to be a talking point among critics and fans. Dubai [UAE], Apr 18 (ANI): Fast bowler Dale Steyn believes South Africa have chances of winning the ICC Men's Cricket World Cup 2019, considering the side has "some fantastic players". London [UK], Apr 18 (ANI): Colin Graves' term as the England and Wales Cricket Board (ECB) chairman is likely to get extended by six months, allowing him to oversee the first season of The Hundred, a 100-ball competition. Hyderabad (Telangana) [India], Apr 17 (ANI): Sunrisers Hyderabad (SRH) displayed a clinical performance to defeat Chennai Super Kings (CSK) by six wickets in the ongoing Indian Premier League (IPL) here at the Rajiv Gandhi International Stadium on Wednesday. New Delhi [India], Apr 17 (ANI): Cricketers may not remember all their stats, but they very well remember their debut matches as they are given international caps for the very first time. Indian cricketer Harbhajan Singh on Wednesday shared a similar picture remembering his international debut. Dubai [UAE], Apr 17 (ANI): Sri Lanka's cricket board on Wednesday appointed Dimuth Karunaratne, as the captain of the Sri Lankan ODI team.